Many writers apply their skills and knowledge to various media, writing different types of texts, articles or manuscripts. Even today’s most successful author JK Rowling writes young adult and suspense fiction (and who knows what else, because she has already used a pseudonym). As computer games have become more like movies complete with storylines that could originate from books, how many writers have already tried writing scripts for video games? Assassin’s Creed Odyssey by Ubisoft. If you haven’t thought of writing for the games industry, you are not alone. Writing a script for a video game is a complex task that requires more work than, for instance, a movie script. There are similarities in movie and game scripts: the world where the story takes place must be described, characters created, dialogue established, action described, and plot line invented. The thing that requires additional work in video scripts is choices. The characters can decide what they do next. Every possible decision path must be determined in the game script. An experienced script writer describes the process of authoring a game in seven steps. The potential complexity of choices can be presented in flowcharts as these samples show. Why writers may consider writing for the games industry right now? Until now, large, resource-hungry video games could be played on game consoles alone. This is changing. Google and Microsoft have introduced connectivity technologies that allow streaming advanced games via the Internet to computers that only need a web browser to run the game. This can attract new audiences from a wide variety of age groups to play games, expanding the variety of games from action to other genres. Google Project Stream is in beta test at the moment, but it is possible to ask for an invite if your computer’s IP address is in the U.S. The Project Stream provides Assassin’s Creed Odyssey console game to your browser. The technical requirements are simple: the latest Chrome browser, a computer, and a minimum of 25 Mbps internet connection. 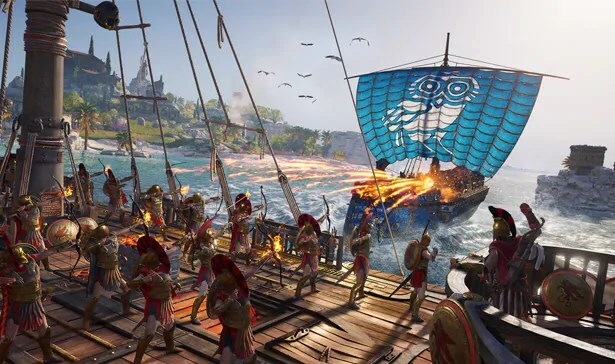 Business Insider tried out the Odyssey game by Project Stream, and the conclusion from the test was positive. They played the game on three computers (two powerful and one ordinary laptop) that had different types of network connections. The game worked well on all three laptops. On two powerful computers, “Project Stream was essentially flawless”. Only the ordinary laptop that had the slowest connection experienced minor glitches. This is impressive. Perhaps the Chrome browser and Project Stream do some proprietary tricks together to keep data rapidly flowing from the game server to the browser? Google Project Stream is not the only cloud gaming service available. Microsoft is already trialing Project Xcloud service that has multi-device support as its key feature. The Sony PlayStation Now and Nvidia GeForce Now provide games via the internet as well. 2018-11-18 by Kim in Games, Writing. Tags console, Google, Microsoft, movies, Nvidia, Playstation, Project Stream, script, Sony, streaming, video, Xcloud. 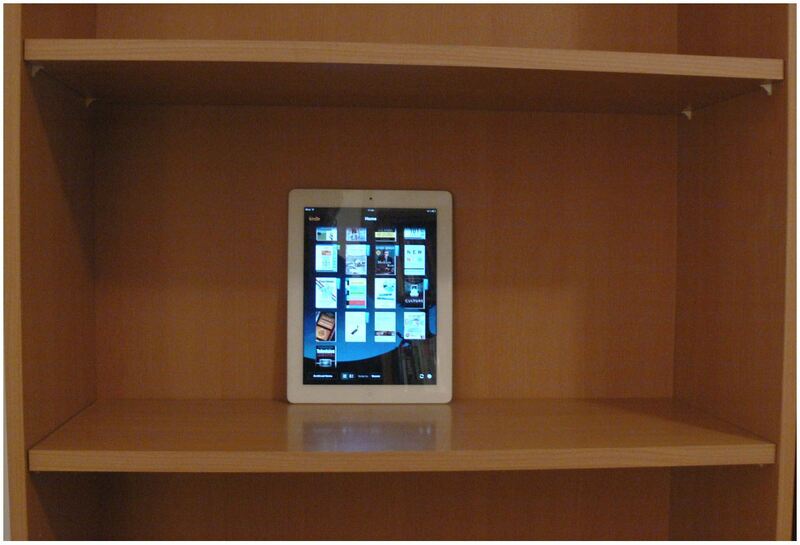 For ebooks on your tablet or smartphone, you only have to download a reading app on the device. Most ereading applications come with note taking and highlighting features that let you annotate the text you are reading. As you develop new habits with digital reading and your ebook library grows, you probably want additional apps that complement the reading app. Here are a few tips for applications that can help. If you tend to shop at the same bookstore, the easiest option is to use the reading app the store provides. For instance, if you purchase your ebooks from Kobo, use the Kobo app because it makes managing you library and purchases easy. For tablets, good choices for ereading apps that are not tied to any specific bookstore are Bluefire Reader, Bookari, and Moon+. The same reading applications that run on a tablet can be used on a smartphone, but also FBreader is a good one to have on the phone because it can open a number of different ebook file formats. For Apple computer and mobile device users, the iBooks (available at the App Store) app is an excellent choice. It is worth reminding newcomers to the world of ebooks that Kindle books purchased from an Amazon store can only be opened with a Kindle reader, Fire tablet, or the Kindle app that is available to all PCs, tablets and phones. Other bookstores have ebooks packaged in EPUB format that is usually compatible with many reading applications, like FBreader, Aldiko, Kobo, and with all other e-readers apart from Kindle. Pretty soon after I began reading ebooks, I realized that didn’t want to write down my notes inside the reading application. The reason was that, especially during the early days of ebooks, it was difficult or even impossible to transfer the notes easily to a word processing software for further work. After I discovered Simplenote, I have written all my notes, drafts and lists with it. It is an online app that requires Internet connection, but it is so simple and reliable that it is all I need for my notes. 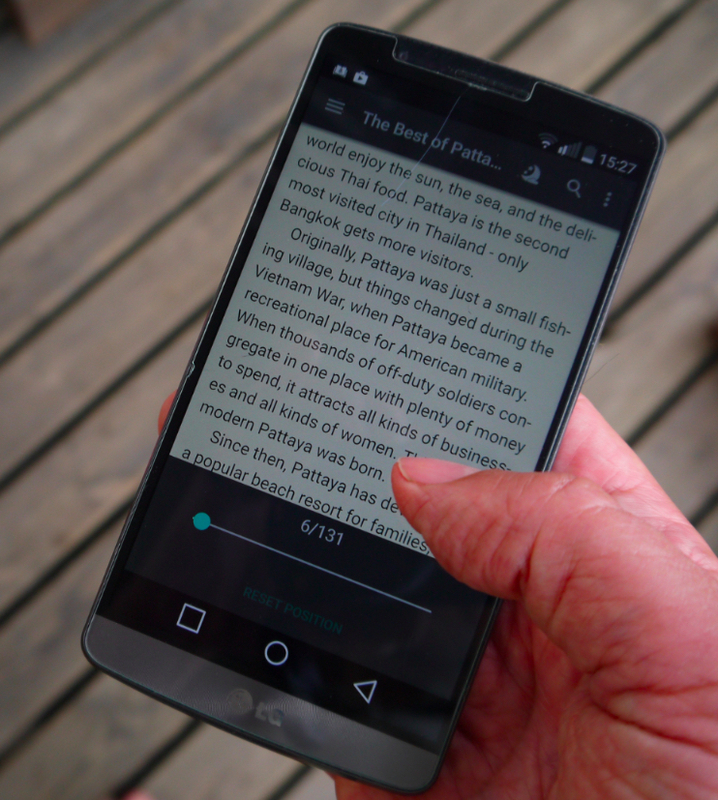 Android Authority has reviewed a number of applications that can be useful for ebook readers. Goodreads. A large community of book lovers who can manage their personal libraries, discover new reads, and connect with other readers. LitCharts. It displays story points, synopsis, and other information about books. Literature Terms. A dictionary that explains terms and phrases related to literature. Browsery. 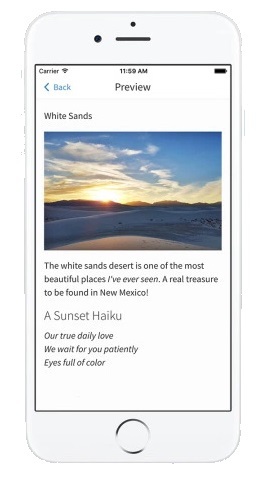 A service and app that lets you connect with other readers and discover new books. Poems. An app that features poems from a variety of authors. 2018-05-28 by Kim in Reading. Tags app, application, ebook, EPUB, ereading, fbreader, Kindle, Simplenote. 2018-01-15 by Kim in Reading. Tags books, people, reader, type. 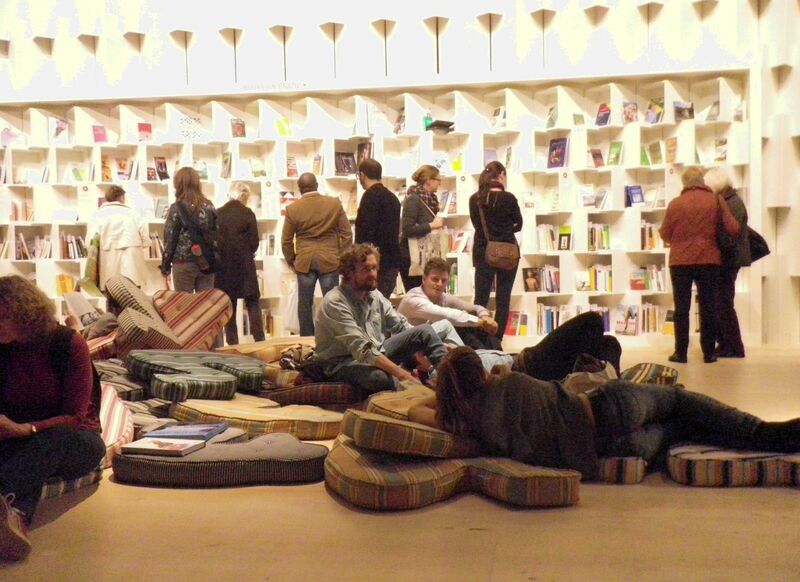 When new libraries are designed, especially in large cities across the world it is remarkable how similar concepts are features in the design: large open spaces, areas where visitors can relax with or without books, cafes, music rooms, in other words a place that invites residents to be together. 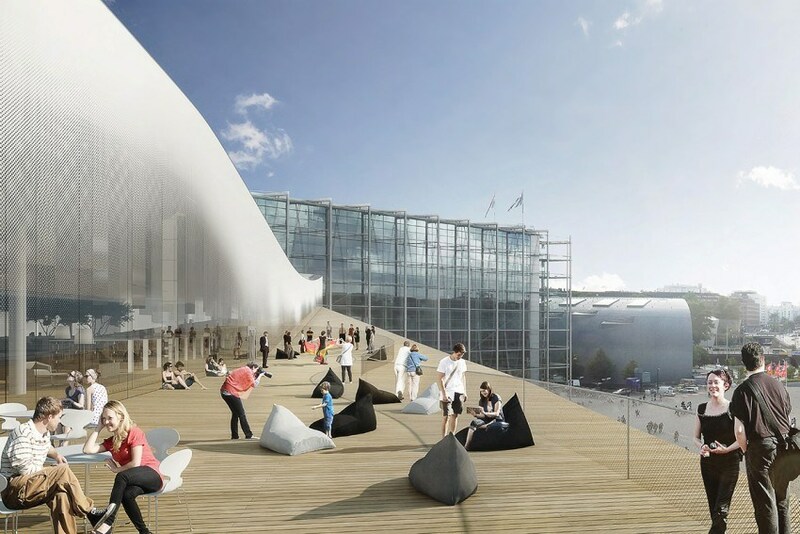 Finland’s capital Helsinki will get a new central library in December 2018, and the design features these contemporary concepts, but also strong Nordic flavors in its architecture. The new central library is being constructed in the heart of Helsinki, in a prestigious location next to the Parliament House, the central railway station, and other key buildings. A fairly large space in the city center was recently vacated from railway use (old maintenance and repair halls were moved away from the city center), and a number of modern buildings have been, or will be built into this space. The new library is one of these modern buildings that will be closely inspected by all residents of Finland as well as by all travelers who visit the capital. The key concept of the design is the interplay between the building’s three floors. The public plaza in front of the building continues inside, merging with the public spaces of the ground floor. This busy, constantly updated floor with a multipurpose hall, a restaurant and a movie theater, is suitable for quick visits and walkthroughs. The traditional serene library atmosphere can be found on the top floor—a calm area floating above the busy city center, offering unobstructed views to the surrounding cityscape. The video below shows you around the virtual building (the real building will be ready in December 2018). The architects who designed the Helsinki Library represent ALA, an architect firm based in Helsinki. ALA is run by its founders Grönholm, Nousjoki and Woolston, and employs 36 architects, interior designers, students and staff members, representing 12 nationalities. If you are planning to visit Helsinki, take a look at a travel guide that shows you the best sights, neighborhoods, things to do, and events in the city. Via The Journal of the American Institute of Architects. 2017-12-24 by Kim in Library. Tags ALA, architecture, Finland, Nordic, Scandinavia, video. Inside Finland’s quirky artist haven reads the headline of the recent article in Travel and Leisure magazine. The article is a fine account of a success story of a beautiful village, Fiskars, in southern Finland. Originally, Fiskars was a manufacturing site, because of a river and rapids that produced energy for factories. Today, the village is a beautiful place where more artists would like to live and work than there are apartments and houses available. The commercial product brand Fiskars is still associated with scissors, knives and other products, but the company doesn’t have anything to do with the village anymore, except as a real estate owner. Corporate headoffice is located in Helsinki, and manufacturing takes place in several sites across the world. 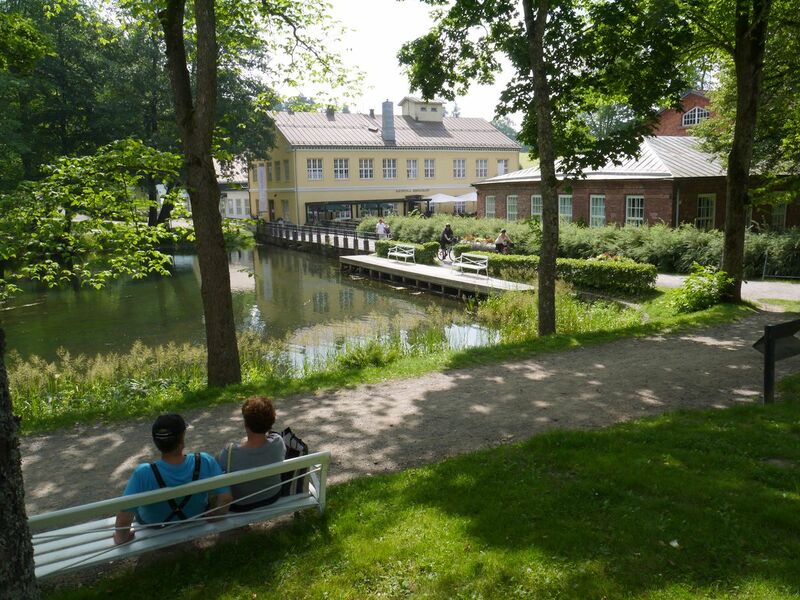 For travelers who stay in Helsinki, and want to get out of the city for a day, Fiskars is an excellent destination. It is about one drive from Helsinki. Summer weekends are busy because Finns like to visit Fiskars on Saturday and Sunday. The popular things to do are: have a picnic, shop at boutiques, walk along the river, explore exhibitions, have a cup of coffee or a meal at a restaurant. Playgrounds for children keep them busy as well. If you have time and energy after visiting Fiskars, I recommend the coastal town of Tammisaari (Ekenäs). The old town center is well preserved, even though houses are mostly made of wood. Very nice and neat old town to explore. 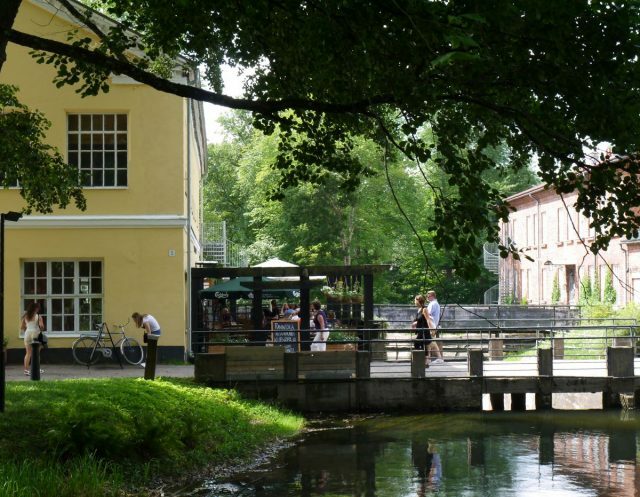 The town recently adopted an ancient name of the area Raasepori (Raseborg). Finland has two official languages, Finnish and Swedish, and it is the coastal area where Swedish can be the dominant language in many communities. 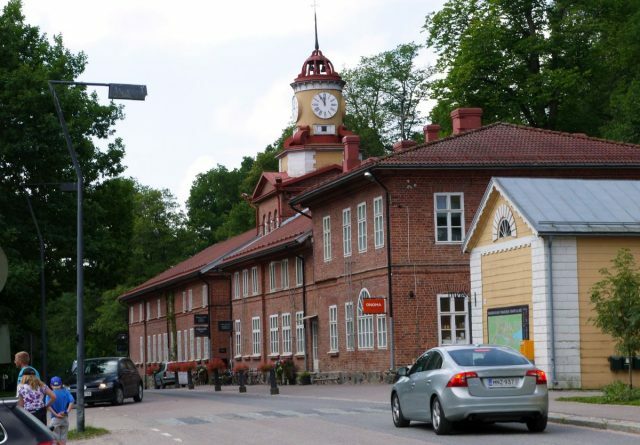 On the way, you may spot a place called Billnäs, which is also an old industrial village. It is also developing to something else, but time will tell what it will be. Today, antiques shops is perhaps the thing Billnäs is known for. More about quirky destinations, and above all, the quirky culture and customs of Finns can be discovered in the book The Lighter Side of Finland. 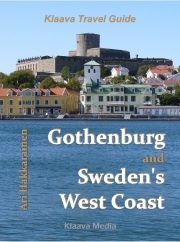 Finland is changing, and the book has recently been revised and updated. It is the 6th edition that is available now. 2017-08-10 by Kim in Finland. Tags artist, atelier, boutique, brand, Fiskars, manufacturing, village. Chinese is the most spoken language in the world, Spanish is the second, and English third. Nonetheless, the language of the biggest corporations, largest media services, most popular pop stars, books and movies is English. If French used to be the universal language of the world hundred years ago, English took its place in the 20th century. There are many countries across the world where you can step out of an airplane, talk English with locals during your whole trip, and return home without learning a word of local language. 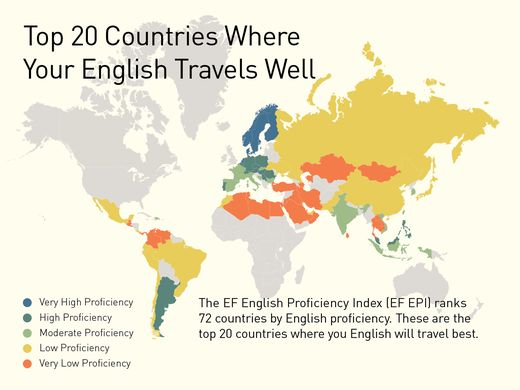 Language education institution EF has collected a list of 20 countries where it is easy to get along in English alone. So, if you like to travel, but like to speak English only, North Europe is your first choice as far as language is concerned. All but 4 out of 20 top English-speaking countries are in Europe. Practically everyone (50 years old or younger) in Singapore, Malaysia and Philippines speak English, but it may take a little time for a foreigner to get used to the accent if you are only used to native English-speakers accent. Which countries EF has ranked the most challenging if you only speak English? Saudi Arabia, Cambodia, Laos, Libya, and Iraq are countries where many languages are spoken, but English isn’t one of them. 2016-11-27 by Kim in World. Tags EF, English, language, speaking, travel. 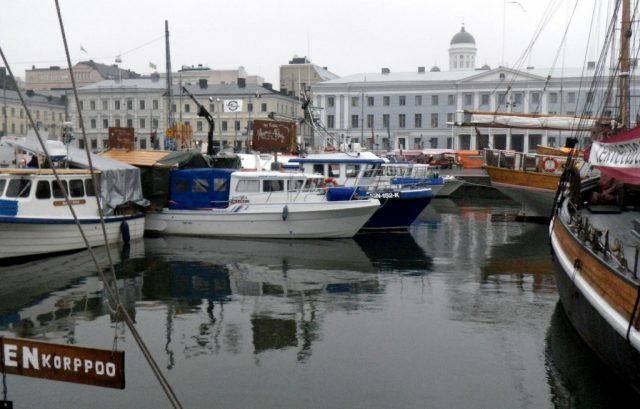 I have stayed in Finland for quite some time now, and many places, including the capital Helsinki have become familiar for me. Finland has its own unique culture (as explained by Russell Snyder and Irene de Benedictis in their own books), but I think I have learned the zen of the Nordic life: during winter, work and try to stay healthy, but in summer let all hell break loose and enjoy life. 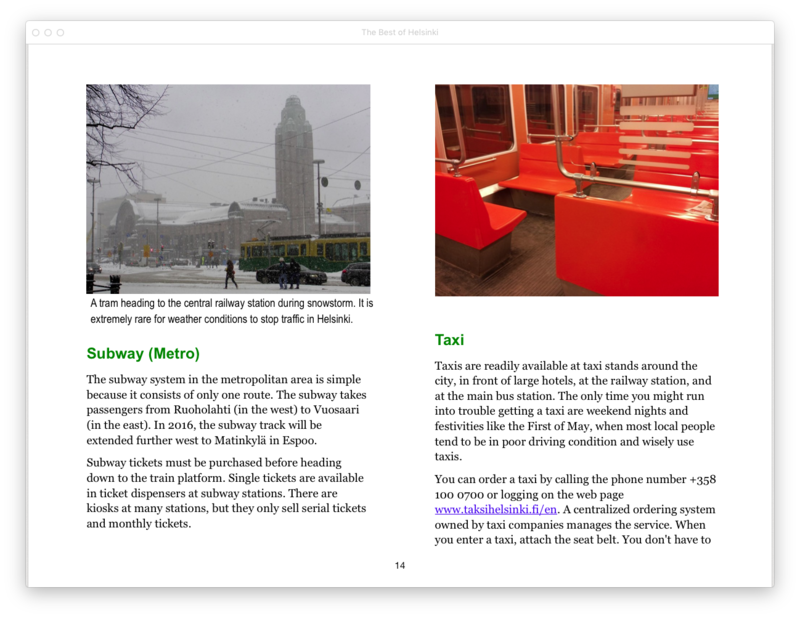 In 2015, I continued photographing and taking notes on Helsinki for the travel guidebook that will be published later this year. Now, when I look at my photos I realize how green city Helsinki is in the summer (in winter it is either white or black, depending on the snow situation). 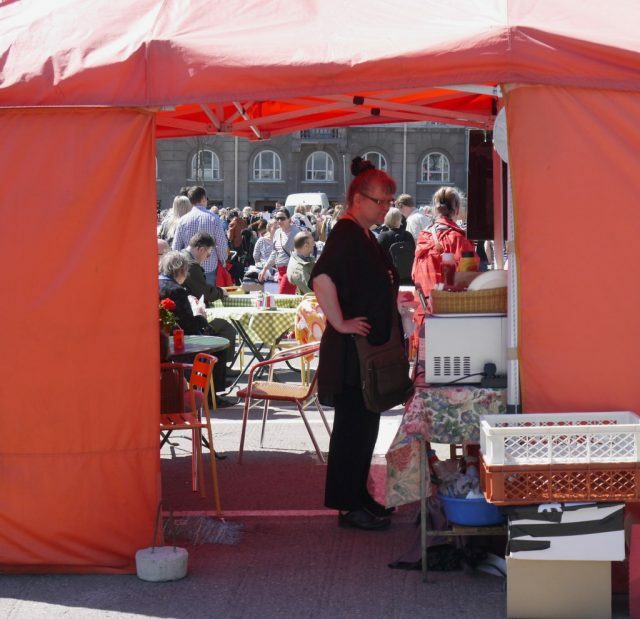 Hietalahti flea market in Helsinki, Finland. 2016-01-21 by Kim in Photography. Tags Europe, gallery, Helsinki, Scandinavia, travel.